Obama's Marine Corps Commandant Pick Says DADT Repeal Could Hurt Morale : The Two-Way Obama's choice to lead the Marine Corps says repealing Don't Ask, Don't Tell would hurt morale. (Update at 3:10) Senate votes to not take up debate on Don't Ask, Don't Tell by 56-43 vote. General James Amos said Don't Ask Don't Tell should not be repealed. At least not until the Pentagon has finished its own study of the matter, which is expected to come out in December. 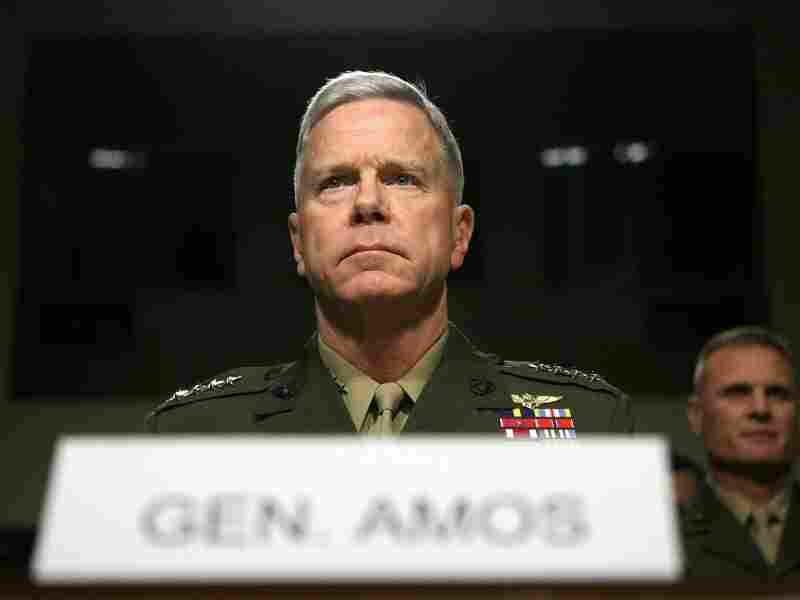 Amos said he was concerned morale could be effected and that it could become a distraction for troops preparing to deploy to Afghanistan. for the online survey, it has been predominantly negative." He did say, however, that if the law is changed he would obey it.